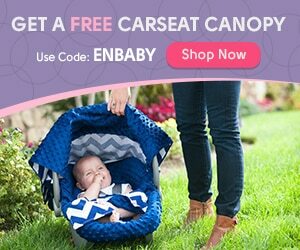 Use this great promo code to get a carseat canopy for free! Just head to this link and select any canopy. Once you have chosen your style and size you will be directed to the “shopping bag.” Enter promo code ENBABY. This will give you a 100% off discount and all you will be left to pay for is the shipping and handling. Use the Carseat Canopy code more than once – just open a new browser window! This free carseat canopy offer last until the supplies run out.